The CSC26 NIDEC Advanced Combat Helmet (ACH) is based on the performance requirements of the U.S. Army for ballistics helmets suitable for urban and marine environments. The new ear cut shell design according to FAST (Feature Assault Shell Technology), allows the integration of a variety of communication headsets, while if no communication systems is used, it allows a perfect natural hearing and sound localization to the user. The CSC26 is still lighter than the previous CSC11 PASGT infantry helmet, although it includes a NVG (Night Vision Goggle) mount. The NVG mount is today the lightest, lowest profile and least obtrusive "permanent" NVD mounting solution available. It is compatible to any night vision goggle such as the standard MARCOS/WARCOM 3 point NVD mount pattern, PVS and NVS7 and NVS21 versions. The NVG mount is strongly fitted to the helmet by 3 ballistic grade screws. Moreover, there are a couple of elastic bungees to eliminate the NVG rattle and vibration when walking on use. 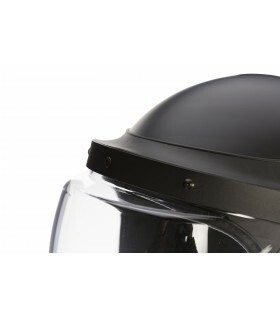 At both sides of the shell helmet, there is an ARC rail to quickly connect many types of Picatinny and Universal Wing-Loc accessories such as cameras, flash lights, IR beacons, headsets, etc… The ARC system grants a secure donning or doffing of many head borne accessories. 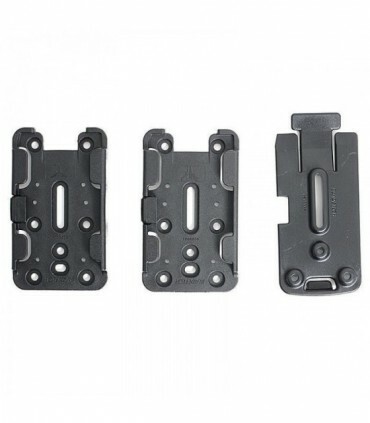 However the ARC has been designed to release any accessory in case of a torque of 11N/m or higher to prevent neck injuries in the event of snagging. All rails and mounts are made of aluminum with powder coated finish and stainless steel ballistic hardware. The CSC26 helmet also includes an improved NVG tested 4-Point Retention strap with an adjustable chinstrap to assure the maximum comfort and stability of the helmet even with the use of night vision goggles. Adjustment straps slides are located on both sides and at the rear user can adjust the helmet to its head diameter. The 4 point strap, chain strap and head perimeter ring are all removable/replaceable. The CSC26 uses our standard suspension system, made by 7 memory foam pads. Each pad is conveniently located inside the helmet to best protect the user´s had at the same time to provide the maximum comfort during long period of time. Thus the thickness of each pad is different and might be also removed/replaced at any time. Foam pads are waterproof and made of non-allergic material. Our helmet´ shells are made of composite materials based on pressed woven aramid fibers mixed with synthetic epoxy resins, which provide an extreme low weight helmet with an outstanding ballistic resistance. Such construction allows the shell to keep its ballistic features from -60C up to +160 C temperature range. Shell life is 5 years. The CSC26 ACH ballistic helmet shell has been tested by the Official Ballistic Laboratory H.P. White in the U.S.A., according to the level IIIA of the National Institute of Justice NIJ-STD-0.106.01 standard. (A copy of the certificate is available upon request). It has also been tested according to STANAG 2920 and MIL-STD- 662 for anti-fragmentation resistance, resulting in a V50 of 672m/s (17grain FSP). The weight of a complete CSC26 NIDEC ACH helmet in size M is 1485 gr. The Nidec helmets may be provided in Mate Black, Dark Blue, Military Green, Khaki/Tan colors. The CSC26 NIDEC helmet is made in 3 different shell sizes, although 95% of the times the size M fits all. Remember the 4 point adjustable straps allow adjusting the helmet to your size. Only those with a bigger head will need a larger size.